In the past few years, the banking sector has gone through immense disruption with the advent of digital banking, FinTech companies, highly personalized products and services, and not the least, some new regulations. ‘Open Banking’ is one such disruption that is poised to change banking forever. So what is open banking? As a mandate, open banking requires banks to allow their account and transaction details to be shared with third parties through Application Programming Interfaces or APIs. These APIs allow software at one company to have access to information from another, thus giving customers the benefits of being able to choose exactly what they want. Under this approach, banks can quickly offer tailor-made products to their existing customers, particularly payment solutions. 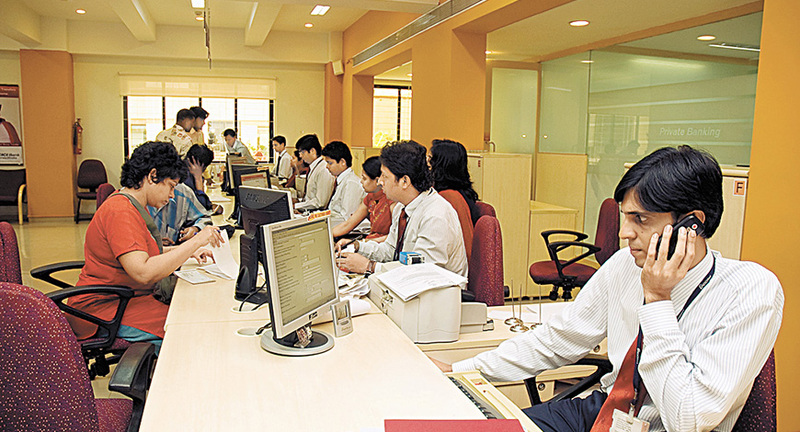 Banks can also penetrate the new-age digital market with instant solutions. In a recent report by PwC, it is expected that 71 percent of SMEs and 64 percent of adults will adopt open banking by 2022. In October 2015, the European Parliament implemented the Revised Payment Service Directive, or PSD2. This move enables new types of banking services that use innovative online and mobile payments. By August 2016, the United Kingdom Competition and Markets Authority (CMA) asked nine of the biggest banks (Barclays, RBS, HSBC, Santander, Bank of Ireland, Allied Irish Bank, Danske Bank, Lloyds, and Nationwide) to allow licensed third-parties direct access to their data. With regards to the Indian context, open banking emerged with the unveiling of the Indian government’s Unified Payments Interface (UPI). UPI is also playing a significant role in changing conventional retail banking. YES BANK was one of the first Indian banks to launch API banking services to digitalize the B2B supply chain. Subsequently, ICICI, RBL Bank, Kotak Bank, DCB Bank, and several others have adopted this approach. When in place, APIs help a bank to do several things such as integrate with ERP systems of corporate clients, perform eKYC, PAN verification, offer currency rates, retrieve credit scores, offer lending and payment products, collaborate with third parties to create innovative products, and so much more. Open banking initiatives worldwide have been largely focused on retail services and payment innovations. For example, Citibank in May 2018 announced six strategic partnerships with leading businesses in Hong Kong to accelerate the development of open APIs in the city and to facilitate quick and convenient banking services to address their consumers’ digital lifestyle. One such partnership is with EGL Tours. Cardholders of Citibank credit cards can offset their online purchases as soon as they checkout at EGL Tours with their reward points without leaving the shopping platform. In Japan, consumers can now use QR-code payments systems provided by non-bank groups like Softbank, in co-operation with India’s Paytm and Yahoo. The potential benefits of open banking in the retail services space include improving customer experience, creating new revenue streams, and building sustainable service models for underserved markets. However, the potential to develop and provide similar services for corporate banking is even bigger. Corporate banking involves integration with several Enterprise Resource Planning (ERP) systems and regulatory / compliance systems apart from the systems involved in retail banking. APIs allow seamless connectivity of the corporate ERPs with the bank’s systems, facilitate straight through processing of data and significantly improve the turnaround times. Finding the middle ground where APIs are developed without compromising data security will serve as a huge window of opportunity for those looking to serve these segments. In a recent survey by Accenture, out of the 240 large corporations and SMEs across the APAC region, 39 percent of SMEs, and 43 percent of large corporations have stated that they are already participating in open banking ecosystem platforms. Several FinTech companies are taking advantage of open banking innovations to entice banks by offering corporate oriented value-added services. They are using real-time data to offer more customer-centric bundled solutions through platform-based ecosystems that interact with banks where necessary. Third Party Providers (TPP) are also offering a range of platform-based services for SMEs, including view into cash flows in real-time, online invoicing of customers, and near-instant reconciliation of bank accounts. The single most important impact of open banking is – access. Whether it is access to user information, data sharing, or predictions of what users may need in the future, open banking is removing barriers between competitors. This is encouraging them to seek regular dialogues with each other, which is leading to the delivery of better financial services. This has essentially played a pivotal role in the rise of the FinTech industry and will be a key factor that will drive innovation. With payment information also being linked with other services, open banking is playing a significant role in the rise of the digital economy as it makes payments easier and more transparent. However, with the sharing of sensitive financial data between multiple parties becoming the norm, the significance of data privacy has become more important than ever. With regulations such as GDPR governing how user data is stored and shared, the financial industry needs to be mindful of the implications of data breaches. Getting user consent has become critical and users have also become more aware of the rules and guidelines around these concerns. By giving the users control and insight into their financial transactions, open banking is thus paving the way for a new banking environment – one where customers have more power and can immediately switch between service providers. As a result, banks now need to operate in the same space as new-age digital companies and need to always give customer experience the top priority. This is the only way forward for them to strengthen their customer base and embrace the benefits of 21st century technologies.